It's easy to fall in love with Etude House product! So cute with pastel colours everywhere and dreamy princess beauty products, how could you not get attracted to them?! I, myself have hauled a number of cute stuffs from them and my latest one was a Happy 5th Birthday Tint (OR202 Cherry Coral). This color is one of the 2 limited edition colours in conjunction of Etude House's 5th Birthday. 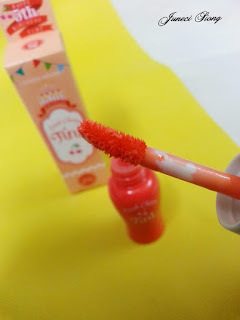 I have been dying to own a lip tint since the korean wave lip tint craze. 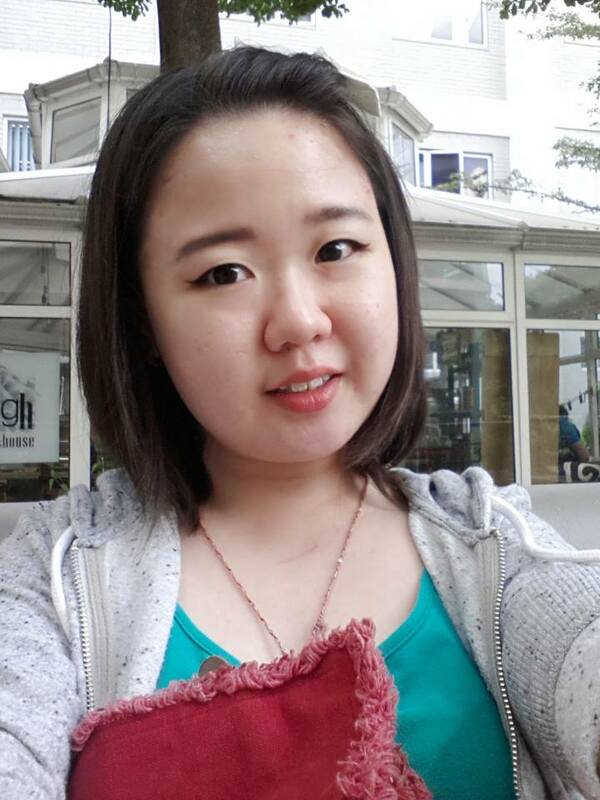 Was trying to find one with orange tint (because Orange is such a lovely colour <3), so here it is. Every time I enter Etude House outlet, my mind always wanders. The sales guy was helpful in giving suggestions. I was in dilemma between this lip tint and Color Pop Shine Tint and he told me, Fresh Cherry Tint is more natural looking compared to the other one, hence I got it. This mini tint promises shiny moist cherry lip with a creamy, smooth texture. Bottom: Tinting after wash off with water. 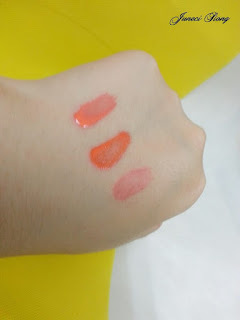 The moisture lasted about 2 hour before leaving a darker shade of cherry orange color which is the same hue as the lip tint bottle. The lasting power is awesome. The tint stayed until the next day! 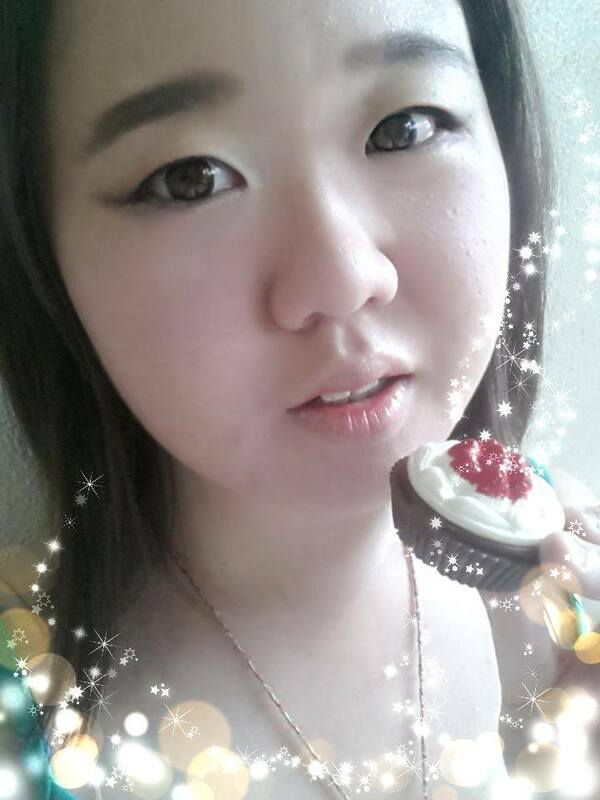 Indeed, it looks very natural on my daily makeup. Don't get me wrong. I LOVE Etude House products. Just that, I didn't like the taste of this lip tint. Not that I purposely go and lick it; it has this bitter taste. I didn't take a go at how it taste like when I try it at the store neither. Making an assumption that this is to discourage people from licking the lip tint off, which I occasionally find myself doing. The unpleasant taste will wear off eventually but that will take quite some time. I would continue to support Etude House but no thanks to this one. 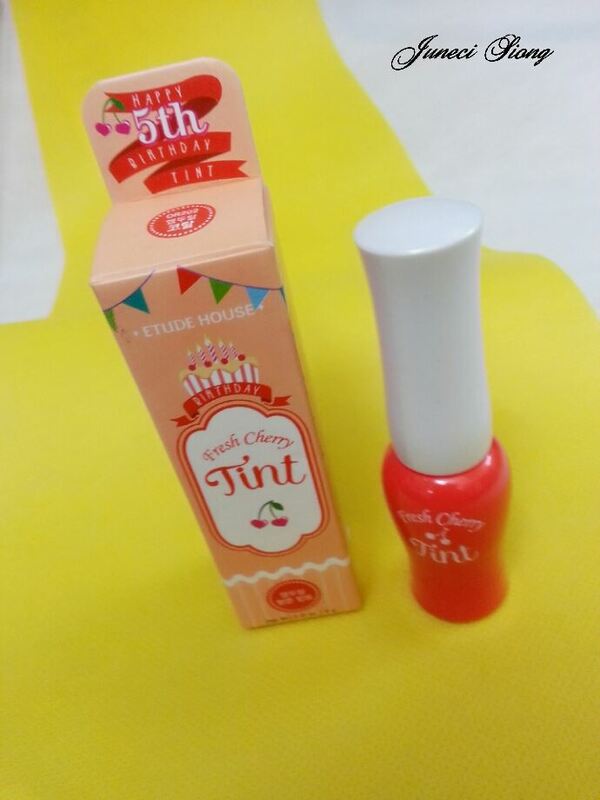 I tried two method in using this Cherry Tint. You can either apply it fully on your lips or try the 'Popsicle-stained' lips by applying some concealer on your lips before applying the tint just at the inner center of your lips. Tap gently to blend. CONTENT 9g Net wt. 0.31 oz. 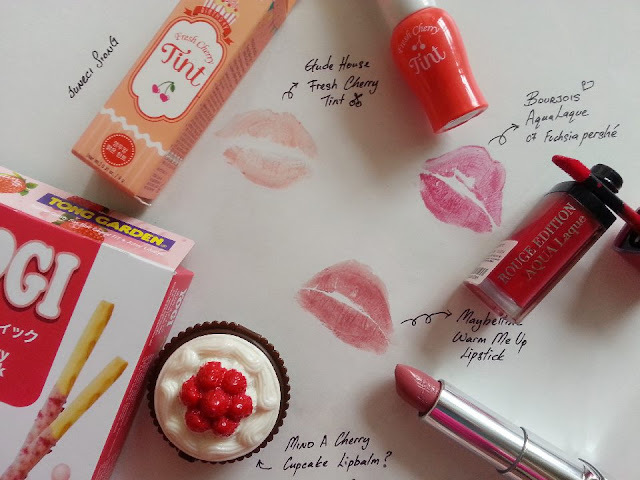 If you love Etude House, you can check them out on their Official Website (Malaysia) or Facebook.